Canada is a land of plenty—framed on each coast by the land-shaping tides of the Atlantic and the Pacific, there’s plenty of mountains, glaciers, valleys, plains, deltas, islands, bodies of water and communities to discover and explore in between. You might already know which parts of Canada you’d like to visit someday and maybe even have your share of Canadian road trip ideas to check off your list, but what if you’re bringing your family along for the ride? While there’s almost always a convenient number of child-approved, family-friendly activities to choose from in larger urbanized areas, by adding a little more imagination and flexible planning, you can check off some destinations that are relatively less-accessible. You might be planning a cross-Canada trip or stopping at just 1 or 2 attractions on your itinerary. Whatever the case, keep in mind that it doesn’t take much to create memorable moments with your family! Tip: Make sure to check with visitors’ centres and parks offices about the best times to visit, and be wary of road conditions in some places when travelling during the wintertime. For added peace of mind, make sure to have the proper type of travel insurance to cover you on your road trip! Time to plan your family trip! Each province and territory has its own share of natural and manmade wonders—so let’s explore Canada by region. And remember, before you head out with your family onto the Canadian road (or in some cases, into the Canadian wild), quickly look over the road trip safety checklist! Gros Morne, taking its name from one of Newfoundland’s highest peaks, means “great sombre”—though it’s anything but dull or depressing. The park’s dramatic landscapes have a tendency to dwarf and humble visitors, while its geological history has earned it the designation of a UNESCO World Heritage Site. An endless list of seasonal outdoor activities to accompany the views of ancient fjords and time-worn cliffs would make the trip an unforgettable one for the family. 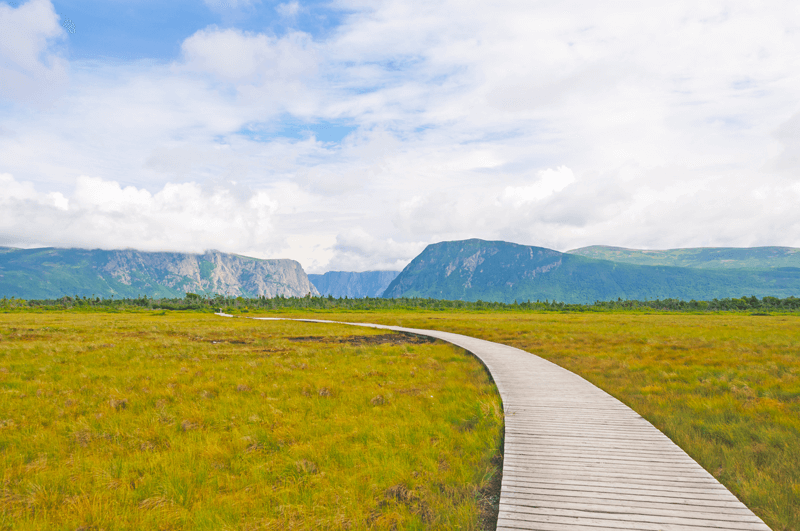 Though it has its share of rugged trails, parts of Gros Morne National Park also have inviting boardwalks that are perfect for younger kids and older adults. The cozy little community of Cavendish is a popular summertime destination for families on Prince Edward Island and beyond. 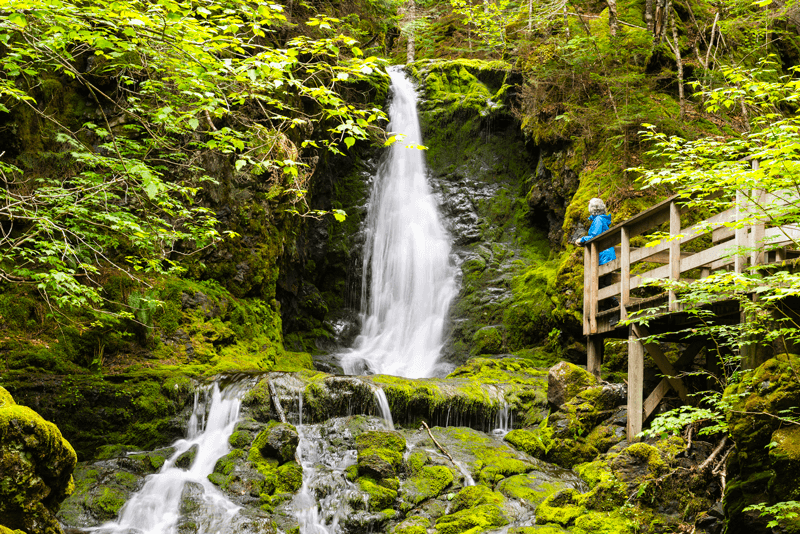 The waters of the Gulf of St. Lawrence are more than enough to draw crowds to the namesake beach, but there are also other points of interest to keep everyone busy. 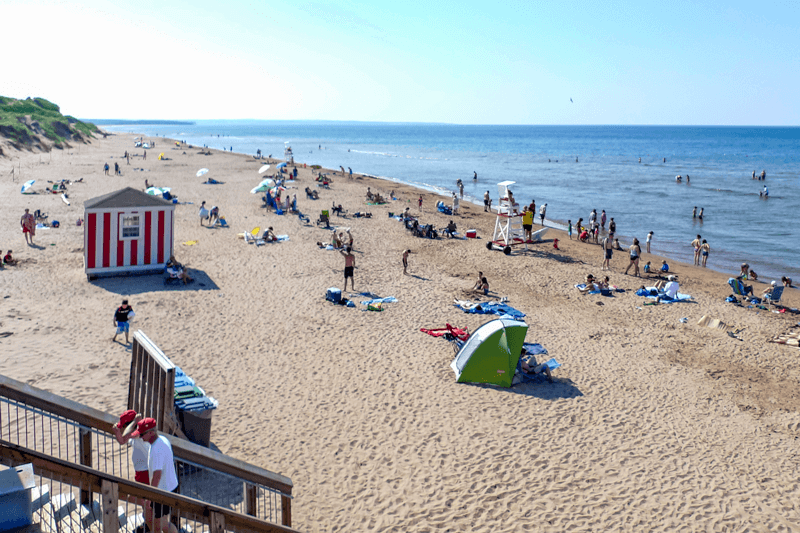 This includes amusement and water parks, shops and dining along the boardwalk, and the annual Cavendish Beach Music Festival, held in town each July. Perhaps the most well-known site is the Green Gables Heritage Place (of Anne of Green Gables fame), which draws fans of the classic Canadian novels from all over the world. A day with the family at Cavendish Beach is like living one of the pages of L.M. Montgomery’s classic Anne of Green Gables novels: nostalgically familiar and pleasant. 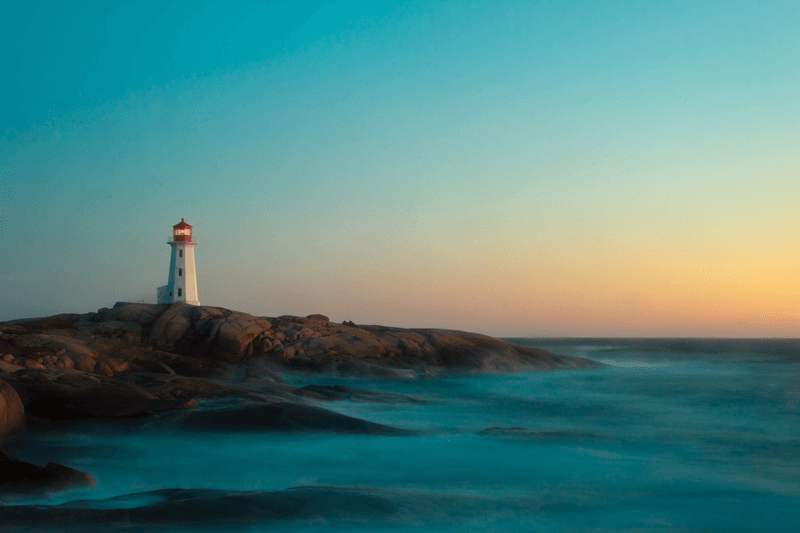 The fishing village of Peggy’s Cove is home to the iconic Nova Scotian lighthouse, built in 1914 and in active use to this day. Picturesque in every sense, the site retains an authentic maritime atmosphere thanks to preservation efforts, despite drawing visitors throughout the day and risking over-commercialization. Though there are plenty of recreational activities in the vicinity, most people come and stay to enjoy the surrounding scenery and marvel at the postcard view in front of them. Peggy’s Point Lighthouse is easily one of Canada’s most recognizable landmarks, only an hour’s drive from Halifax. Visitors to New Brunswick’s famed national park are treated to special coastal views of the Bay of Fundy. This place in the Maritimes is known to have the highest tides in the world—sometimes stretching upwards more than 15 metres! To see a completely different scene, visitors can explore the ‘sea floor’ best during low tide at Hopewell Rocks, which is just a short half-hour drive away. You can camp for several nights at the park, but for a more unique and cozy experience, families can book a modernized yurt complete with amenities and modern comforts. When not watching the high tides at Fundy National Park, families can hike through some lush forest paths. Who says museums can’t be fun for children? This museum in southern Quebec educates visitors of all ages about the arts, culture and history in easy-to-understand and immersive ways. Apart from permanent exhibits, there’s a revolving schedule of fun activities throughout the year. 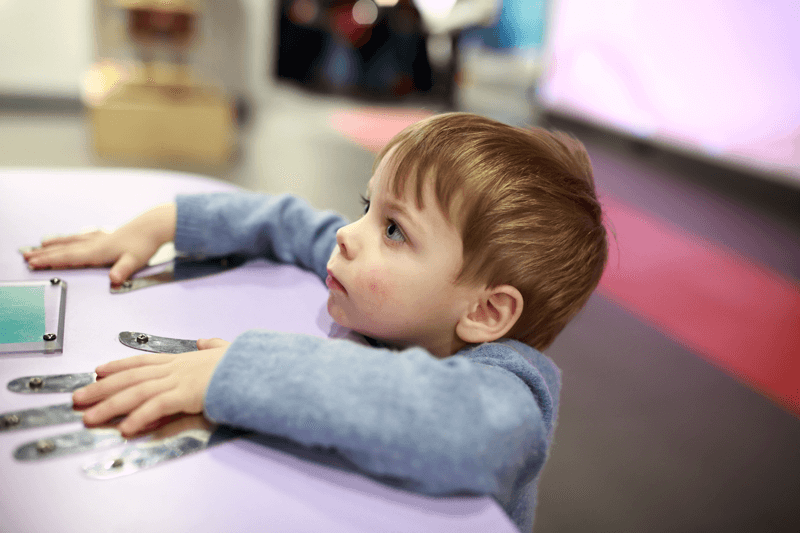 Best of all, the Children’s Museum is actually a museum-within-a-museum, and the big kids too will get an equal chance to go on an educational trip for the day, by exploring the larger Canadian Museum of History. The Children’s Museum is one of the most popular museums of its kind in Canada. While most seasonal residents head over to the town of Tobermory on the northern tip of Bruce Peninsula, visitors will find just as many things to do and places to stay south of it. After all, the Ontario peninsula is surrounded by the vivid turquoise waters of Lake Huron and Georgian Bay. Water recreation is the norm here, and there are even shipwrecks to explore—some visible from shore! Back on land, Bruce Peninsula National Park and Fathom Five National Marine Park, along with several provincial parks and nature reserves add more activities for the kids to try out. 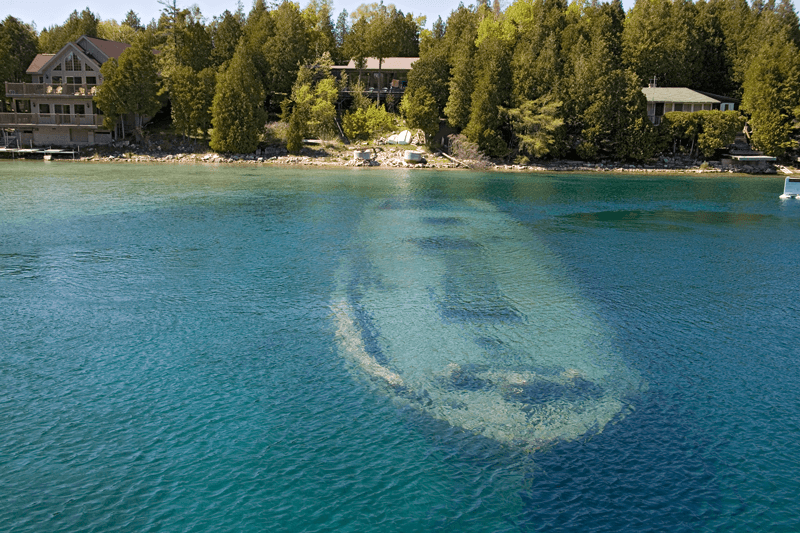 Shipwrecks are some of the more unique and unexpected points of interest around the popular summertime destination of Tobermory. While the Forks National Historic Site remains a favourite spot among locals and visitors, there are more than a handful of museums conveniently within walking or short driving distance from the 9-acre park. The Children’s Museum, Winnipeg Railway Museum, Naval Museum of Manitoba, Winnipeg Police Museum and Royal Aviation Museum across town, just to name a few, are all dedicated spaces found in the heart of Manitoba’s capital, that proudly showcase pieces of Canadian heritage. 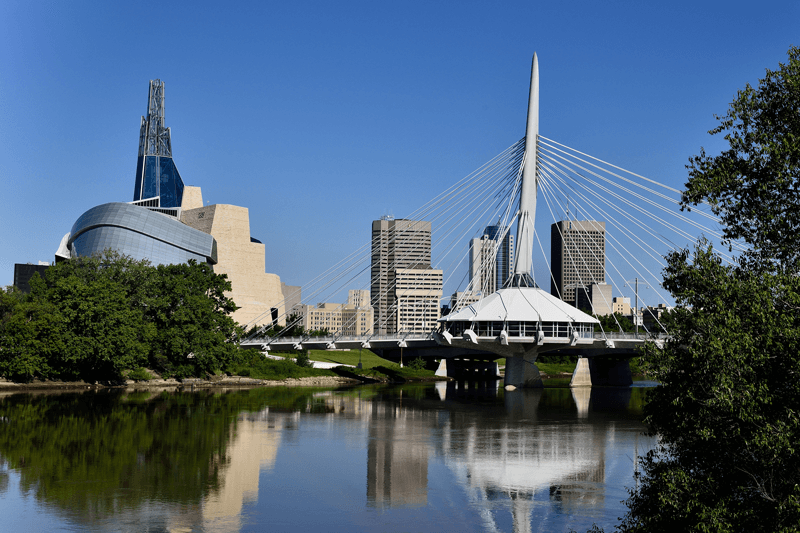 Winnipeg has more than a handful of unique museums to keep the family busy for days. A day at this zoo can prove to be both fun and educational for the family. 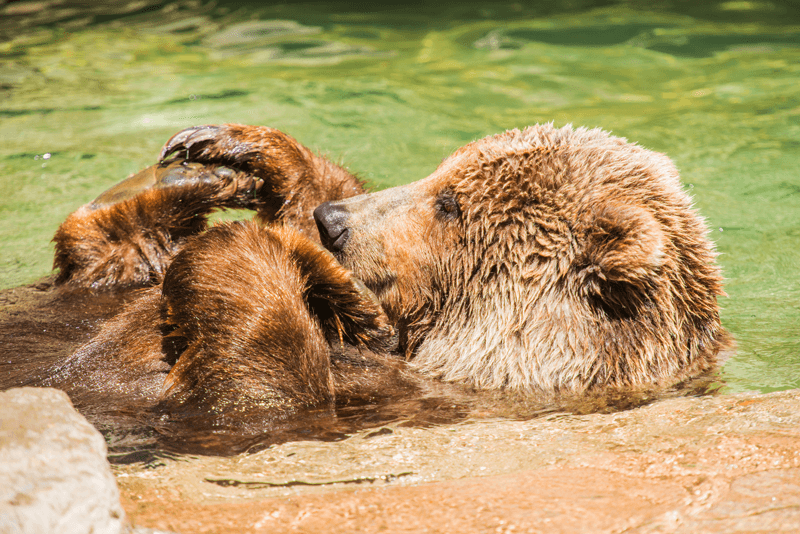 There are over 300 animals cared for at the zoo, with large mammals that include grizzly bears, bison, cougars, grey wolves, caribou, bighorn sheep, as well as owls and birds of prey. The Saskatoon Zoo Society, a non-profit, volunteer-run organization works with the zoo to foster environmental education among families and instill respect for nature. The society runs over 500 programs around Saskatchewan throughout the year, so be sure to catch some on-site during your visit! Grizzly bears are among some of the animals found at Forestry Farm Park and Zoo in Saskatoon. Set amongst the rugged, sprawling topography of the Albertan badlands, the town of Drumheller proudly wears the title “Dinosaur Capital of the World”. 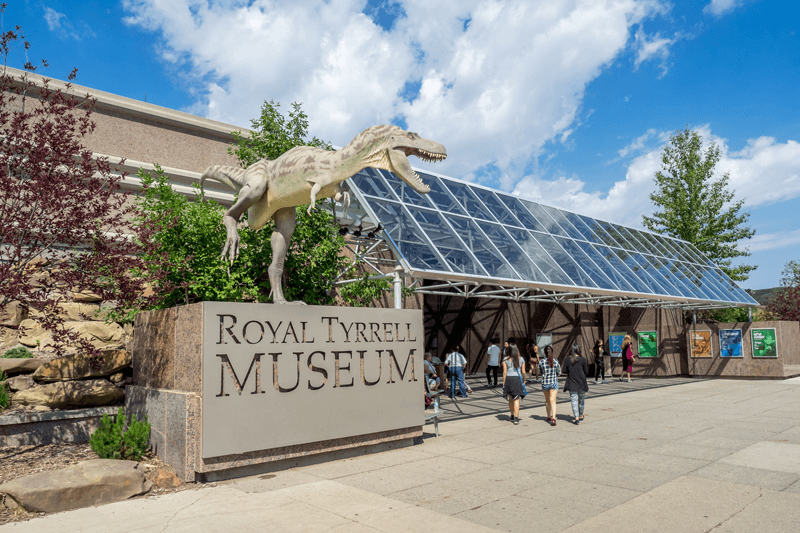 In fact, exhibits displayed at the Royal Tyrrell Museum boast an impressive collection of nearly 300,000 fossils! A scenic 2-hour drive southeast of Drumheller will take you to the breathtaking landscapes of Dinosaur Provincial Park, another UNESCO World Heritage Site. It’s a rare place on the continent where you can walk among 75 million-year-old fossils—surely a dream for any junior paleontologists in the family. The Royal Tyrrell Museum is located in Midland Provincial Park in the town of Drumheller. Snuggly tucked away on the tip of a peninsula on the west coast of Vancouver Island, this little gem draws big crowds during the summer. Its somewhat remote location isn’t enough to keep avid campers, surfers, kayakers and canoers, fishermen, storm watchers and all-round nature lovers from finding their way there. Over a dozen beaches (and countless hidden spots) line the rugged coastline, which eventually leads down south to the lesser-known, but equally-quaint community of Ucluelet. Unlike other popular destinations in BC, there are no large land masses standing between its coast and the powerful ocean—something that makes these two places all the more unique. 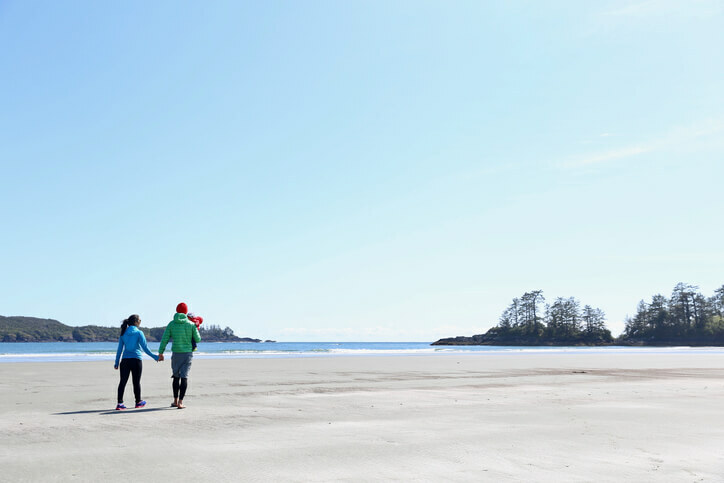 Tofino has several popular beaches frequented by surfers, swimmers, kayakers, beachcombers, artists and nature-lovers. When was the last time you travelled to your vacation destination in North America by train? This railroad links Whitehorse, Yukon’s capital to Skagway, Alaska and was first constructed in 1898 during the legendary Klondike Gold Rush. The nostalgic train ride transports passengers on a journey across panoramic, mountainous terrain, back to a familiar yet bygone era. There are some notable historical sites along the route, such as the Klondike Gold Rush National Historical Park found near the US/Canada border, rewarding the family with a little history lesson along the way. 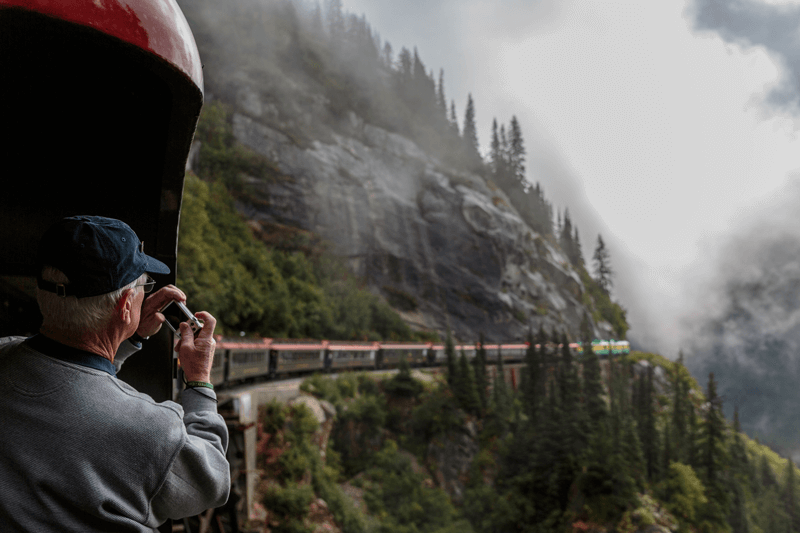 The White Pass and Yukon Railroad is one of Canada’s oldest passenger routes that’s still in active use. 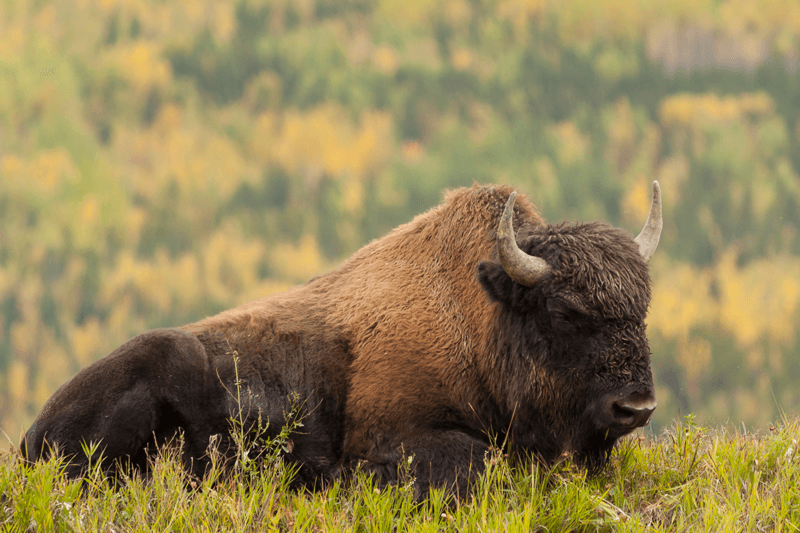 This UNESCO World Heritage Site was established in 1922 to protect the last remaining bison herds of northern Canada. As the country’s largest national park—also one of the largest in the world—it spans parts of the Northwest Territories and Northern Alberta and covers roughly 44,807 sq km. For comparison, it’s larger than countries like Belgium, Switzerland or Denmark! Families of all experience levels in backcountry activities find many things to do here; you can visit the Salt Plains, hike and observe wildlife together, and of course, even camp for a few nights and stargaze. Today, Wood Buffalo National Park has the largest population of wild wood bison in North America, more than Yellowstone National Park. Though it covers 1/5 of Canada’s total land area, Nunavut, its least-populated province or territory, also remains its least-explored. There are currently no roads leading here, nor are the 25 communities interconnected by highways. 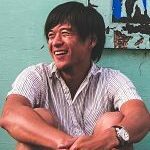 To get here, you’d have to rely on air or cruise travel, and to get around, it’d be wise to rely on an experienced guide. The high costs and logistics involved are enough to make tourism inaccessible to most curious travellers, but maybe that’s what makes Nunavut so much more desirable to a few. Once there, regions of untouched and unspoiled national parks, territorial parks and wildlife sanctuaries wait to be explored, with a deep culture to be experienced. 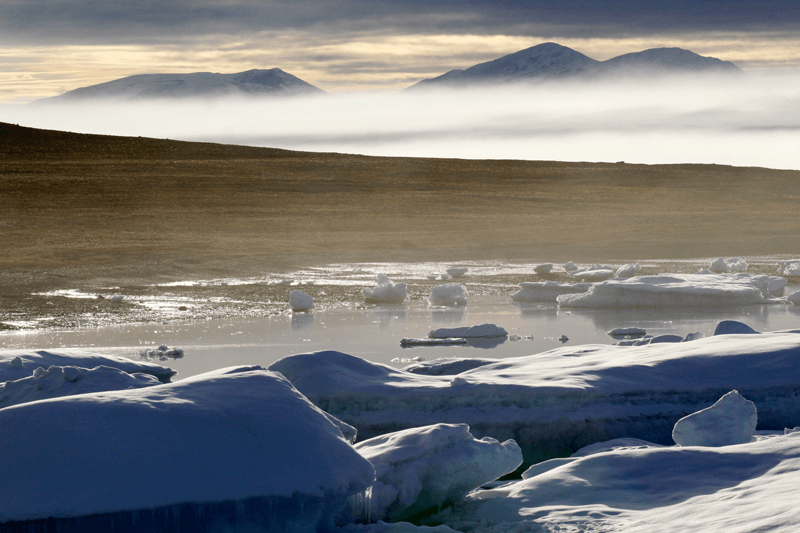 Nunavut is Canada’s arctic backyard, equally beautiful as it is unexplored.